As more “baby boomers” are retiring and rolling over large 401(k) and other retirement plans to IRAs, proper tax and estate planning for IRAs have become increasingly important. When an IRA owner becomes age 70 1/2, he or she must soon begin to take required minimum withdrawals (“RMDs”) and pay federal and state income taxes on those withdrawals at his or her highest rate brackets (unless the IRA is a “Roth”, in which case the withdrawals may be income tax free). Effective January 1, 2003, the IRS changed its RMD rules, allowing a non-spouse beneficiary (for example, a child) to take or “stretchout” the taxable RMDs over a much longer period, using his or her own life expectancy rather than the shorter life expectancy of the original IRA owner (the parent). This means that money inside an inherited IRA may now compound much longer, tax-deferred. To sum it up, the original $200,000 inherited IRA became worth over $700,000 to that family! (And that doesn’t include the future value of the RMDs if they’re placed into an investment account). If we assume the IRA will be worth over $200,000 when the owner passes, or will earn a higher rate of annual return, or will go to a younger beneficiary, that IRA may eventually be worth well over $1 million! WARNING: This New IRA Tax “Stretchout” is NOT Automatic! Many IRA owners and their professional advisors “assume” that the IRA beneficiaries will make the right “stretchout” decisions, or at least seek the advisor’s help before they take withdrawals. Unfortunately, that is often not the case when the IRA owner dies. The beneficiaries are not prohibited from withdrawing more than the RMDs and may instead decide to cash out the IRA earlier than required, blowing the stretchout. Go to the custodian asking what to do, are given a check and then immediately cash and deposit it in their own accounts. Do what they think (wrongly) is a tax-free rollover to their own IRAs. Just can’t wait to get their hands on the IRA money or are influenced by a spouse or some other third-party to grab and spend it! Yanking the IRA money out too quickly - - resulting in what we call the “blowout” - - may force a family to pay all the taxes up front and lose over one-third of the IRA’s future value - - literally throwing away hundreds of thousands of dollars, or even millions! Let’s assume the IRA beneficiary will properly do the RMD “stretchout” and pay the taxes gradually over his or her lifetime. A lot can still go wrong. The beneficiary, his or her spouse or children may have poor spending habits (be “spendthrifts”!). A beneficiary’s spouse may take some or all of the IRA in a DIVORCE! (The income tax laws, allowing an IRA transfer in a divorce to be tax-free, actually encourage the spouse to grab it and keep in mind the statistical chance of a divorce is now over 50%!). If the beneficiary is too young, elderly or disabled, he or she may not be able to properly manage his or her own affairs - - without unwanted court intervention. A beneficiary who now or later in life receives needs-based government benefits (like MediCaid or Medi-Cal nursing care benefits or supplemental disability income) may not qualify for or lose those benefits. In most states (including California), an IRA is not creditor protected and can be grabbed in a lawsuit, even a bogus one that forces a beneficiary to settle. In other words, an inherited IRA not only needs to take advantage of “stretchout” but needs protection too - - the kind that a trust can provide (which now leads us to the significance of the IRS’ approval of our IRA Inheritance Trust® strategy). The IRS Hasn’t Liked Trusts As IRA Beneficiaries - - Until Now! In its RMD regulations and previous rulings, the IRS had made it very difficult for an IRA inherited through a trust to both qualify for maximum tax “stretchout” using each primary beneficiary’s own life expectancy and also achieve the higher level of asset protection afforded by a trust that may accumulate the RMDs and hold them for future distribution. Generally, one benefit had to be traded off for the other. A standalone trust for IRA assets (known as The IRA Inheritance Trust®, a Standalone IRA Beneficiary Trust, Standalone Retirement Trust, Retirement Beneficiary Trust, IRA Beneficiary Trust, or just IRA Trust) is now available! The IRA Inheritance Trust® permits the IRA owner and his or her family to enjoy maximum “stretchout” and protection benefits at the same time. The protective features of this trust have previously been tested and proven over many years of court decisions. And now, in September 2005, the IRS approved the income tax “stretchout” feature as well (see PLR 200537044). This new standalone IRA beneficiary trust is not the “garden variety” that has existed for some time, but rather represents a huge breakthrough. The IRA Inheritance Trust® is the most advanced “next generation” trust that solves many earlier, tricky drafting problems associated with maximizing both the stretchout and protection benefits. The Pension Protection Act of 2006 Makes the IRA Inheritance Trust® Even Better! 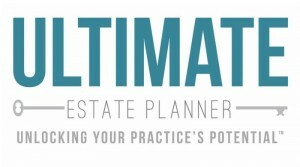 Effective January 1, 2007, the Pension Protection Act (PPA) significantly widened the application of the IRA Inheritance Trust® to people who may never have considered this valuable planning tool before. Previously, this Trust had no application to a company retirement plan - - 401(k), 403(a), 403(b), 457, pension or profit-sharing plan, etc. - - unless and until the worker/participant reached normal retirement age and took an “in service” distribution or retired, and then rolled over the company plan into an IRA. The reason why is that company plans’ own rules usually forced a non-spouse beneficiary to take the entire taxable distribution in 1 to 5 years, overriding the income tax “stretchout” rules available to IRAs. Now, if someone has more than $150,000 in company plans, is still working but has not reached normal retirement age, or has retired but left these moneys in the company plan, this plan participant can take advantage of the stretchout and protection benefits for his or her family available through the IRA Inheritance Trust®. The PPA permits non-spouse beneficiaries of company plans, or a Trust established on the beneficiaries’ behalf, to do a rollover into an “inherited IRA” after the plan participant passes away. In other words, a company plan participant can set up the IRA Inheritance Trust® now, make it the beneficiary of the plan and let the IRA rollover occur later! If you haven’t seriously considered the IRA Inheritance Trust® because you are still working or have retired but still have money in a company retirement plan, you definitely need to look into it right away! The Supreme Court 2014 Clark v. Rameker Decision Also Makes the IRA Inheritance Trust® Even Better! On June 12, 2014, the Supreme Court’s decision in Clark v. Rameker clarified that an inherited IRA is not a protected retirement fund for bankruptcy purposes. This brings to light the protective benefits of a standalone IRA Inheritance Trust® to better protect IRA assets! So, Who Should Get an IRA Inheritance Trust®? For anyone who has IRAs (including those owned by his or her spouse) and/or 401(k) or other retirement plans that total over $200,000 - - the IRA Inheritance Trust® is virtually a “no-brainer” decision. There are even cases where $150,000 in IRA assets might make sense as well, particularly if there are asset protection concerns. Start Recommending, Implementing and Drafting IRA Beneficiary Trusts for Your Clients! Get everything that you need to properly market, explain, draft and implement IRA Beneficiary Trusts in your practice for a one-time reasonable licensing fee! Download and view a copy of the Private Letter Ruling issued by the IRS in September 2005, approving the standalone IRA Beneficiary Trust strategy! I’m hearing great things about you from advisors all over the country.